It’s all about your body clock and not the clock on the wall. Whether you’re a businessman who travels cross country, or a professional sports team, what you should be considering is your circadian timing, which is your biological clock. This especially for the professional sports teams and the prospects of winning or losing their game, considering their chances when it comes to the day of the game. What most aren’t aware of is how big a role that their circadian timing and actual sleep cycles plays on their game day performance and success. There’s supporting evidence that the exact time of when the game starts in relation to the players circadian rhythms, is now considered a big factor when it comes to the teams performance, giving them an edge, a better chance to win the game. This based on decades of tracking major league games based on whether they’re based on the West Coast or the East Coast of North America, where the time zone can differ 3 hours. It’s been found that Western based teams appears to have a greater advantage over their East Coast rivals, this particularly when the games start after 8PM EST or 5PM PST. What the researchers found was whenever the games started after 8PM EST, that the teams based in the West won over 65% percent of the time, this regardless of where they played. When analyzing the data, the researchers took into account other factors which could influence the outcome of the games. Such game day influences included: the difference of skill between the teams, home field advantage, and the injuries on a particular team. After adjusting all of these variances to get an accurate point spread, it was found that the West Coast teams all demonstrated a clear distinct advantage when compared to their Eastern based rivals. This study was based on every professional sports league in North America, which all returned similar results. The analysis that was based on circadian timing became a factor. It was found that the West Coast based teams that traveled East to play, were more than likely to prevail, to win, in the games that they played, much more that when the Eastern based teams traveled West to play. So one common factor that’s in play when it comes to these results is circadian timing, and how it translate into having a clear advantage when it comes to performance. What the body’s circadian rhythm is able to do is control a wide range of important physiological processes, the most prominent being the individuals sleep and activity levels based on a 24-hour cycle. All of us weekend warriors, the occasional athlete, we weekend golfers, all experience optimal and preferred times when it comes to rest based on the different types of activity, all regulated by our individual circadian cycles. Whenever the timing of a certain activity is in synch with our circadian cycles, then our performance is more than likely to be closer to our best performance. Whether this may be mid morning or early afternoon, for instance, is the time that’s usually associated with experiencing peak cognitive function, which is the reason why you may feel that you hit your groove, get a second wind, at work during these exact times. Then what invariably happens is you experience that late afternoon “crash” after your cycle. For professional athletes, what this can mean is starting their game at the exact time of day which gives them an edge over the players who may be gearing up and performing at different, less conducive times in their circadian rhythm cycles. So forget about what the clock on the wall says, this when it comes to taking advantage of circadian timing for optimizing athletic performance. It’s the body clock which matters more. West Coast professional sports teams who play during the evening hours on the East Coast, say at 7PM EST or 4PM PST, has proven to have an advantage because they’re playing in their ideal biological circadian cycles, which is usually the late afternoon, which is considered to be the best ideal time for physical athletic performance. There’s research which supports that there are several areas of athletic performance which always peak during these times along with the early evening, this when the body temperature is at its highest daily levels. For pro athletes, this is the time of day when their strength, flexibility, speed, and endurance are most likely at their overall optimum best, while the risk of injury is at its lowest. It’s found that circadian timing isn’t the only sleep related factor which contributes to or can undermine ones performance and success in sports. Professional athletes can also face a variety of other sleep challenges including grueling intense practice, or schedules which doesn’t allow for proper sleep. There are also other performance related hazards such as time zone adjustments contributing to jet lag, and the anxiety of needing to perform at an elite athletic level at all times. The research demonstrates that when extending their sleep times while developing healthier sleep routines, it will enhance both the athletes mental game and physical performance. 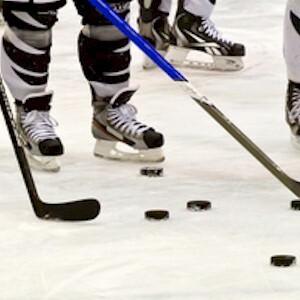 Professional sports teams, such as the Vancouver Canucks, are actively using the power of sleep cycles to improve athlete performance, which also protects the athletes health, while extending their careers. While we don’t have much in common with a professional athlete, but when it comes to circadian timing, we’re all influenced the same way, which can contribute to our success, management, and pleasure of our daily activities based on these circadian rhythms. There should be more attention that’s paid towards your own circadian cycle, and more so for the professional elite athlete.